As part of CMC's services, we provide support and guidance on the promotion and development of new music events and projects and also promote events and concerts external to CMC via our website listings and features, monthly newletter and various social media platforms. In order to promote and advertise external new music events and concerts, our promotion and development department have created some guidelines, outlining the promotional online support we provide and the information that needs to be supplied in advance to our promotion and development department to avail of this service. resources (musical scores, CDs, books and CMC choral catalogues). Note: If you are a registered CMC composer and wish to promote new scores, CDs, books, audio or other products and merchandise via CMC’s website and social media, please contact mgreene@cmc.ie for further information. content for a news item. CMC retains the right to editorial on all content on the website. Monthly industry newsletter for composers (currently 190 subscribers) which includes opportunities and other items of professional interest. The Contemporary Music Centre retains the right to editorial of the CMC Newsletter. All content created by the Contemporary Music Centre with the purpose of promotion must be correctly credited online. All events or opportunities financially supported by the Contemporary Music Centre must correctly credit the Contemporary Music Centre online. 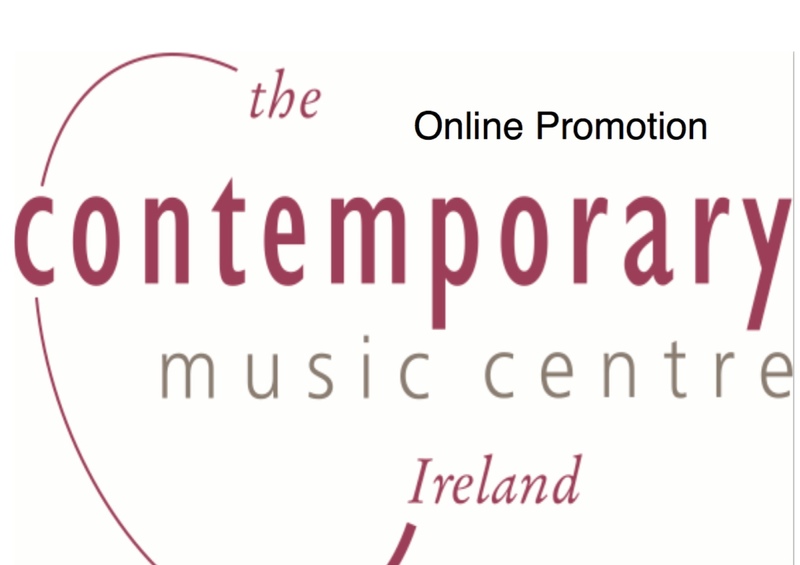 Please note: CMC’s promotion of external contemporary music events on social media, our website and via our newsletter as outlined in this document is subject to satisfactory lead in time and is dependant on the quality and variety of content provided to CMC by the external organisation. The frequency of social media posts is subject to advance notice of an event or opportunity being provided to CMC, in addition to an adequate amount of usable content in relation to the event or opportunity being supplied by external organisation. Read the full text document here or check out the slideshow below.